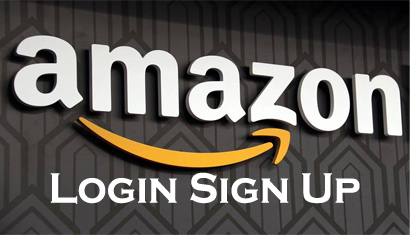 What is Amazon login sign up? Can you sign up for an Amazon account on your own without instructions? If you cannot do not be shy or feel left out because that is the very reason you are reading this article right now. In this article, you would find a detailed guide on how to log in to your Amazon account and how to sign up for a new Amazon account. Every Amazon account user is entitled to certain benefits. As you know you cannot be an Amazon user without an Amazon account. You have access the amazon website at www.amazon.com. When the web page loads, you would find a lot of amazon products for sale along with different categories. On this page, hover on “Account and lists” and click the “start here” link from the new menu. A new page would now be loaded asking you to fill in your name, email address and choose your password. After entering these details, hit the “create your amazon account” button at the bottom of the page. Confirm your email address by inputting the code ta was sent to you. After confirmation, you would be logged in to the amazon account you just created. After signing up for an amazon account, you can enjoy all of the cheap products and offers available. Amazon log in is another way to access you old amazon account. Amazon log in lets you to sign in to your old amazon account instead of creating a new one. This can be done on any device with a good data connection. Here are the detailed steps on how to log in to your existing amazon account. Open your web browser and proceed to www.amazon.com. Click on “account and lists”. Hit the brownish “sign in” button you see. Enter your email address and password on the sign in form you see and click on “log in” again.